Retirement Plan Considerations at Different Stages of Life | Dorion-Gray Retirement Planning, Inc. Throughout your career, retirement planning will likely be one of the most important components of your overall financial plan. Whether you have just graduated and taken your first job, are starting a family, are enjoying your peak earning years, or are preparing to retire, your employer-sponsored retirement plan can play a key role in your financial strategies. How should you view and manage your retirement savings plan through various life stages? Following are some points to consider. If you are a young adult just starting your first job, chances are you face a number of different challenges. College loans, rent, and car payments all may be competing for your hard-earned yet still entry-level paycheck. How can you even consider setting aside money in your employer-sponsored retirement plan now? After all, retirement is decades away--you have plenty of time, right? Before you answer, consider this: The decades ahead of you can be your greatest advantage. Through the power of compounding, you can put time to work for you. Compounding happens when your plan contribution dollars earn returns that are then reinvested back into your account, potentially earning returns themselves. Over time, the process can snowball. That's the power you have as a young investor -- the power of time and compounding. Even if you can't afford to contribute $3,000 a year ($250/month) to your plan, remember that even small amounts can add up through compounding. So enroll in your plan and contribute whatever you can, and then try to increase your contribution amount by a percentage point or two every year until you hit your plan's maximum contribution limit. As debts are paid off and your salary increases, redirect a portion of those extra dollars into your plan. You will likely face even more obligations when you marry and start a family. Mortgage payments, higher grocery and gas bills, child-care and youth sports expenses, family vacations, college savings contributions, home repairs and maintenance, dry cleaning, and health-care costs all compete for your money. At this stage of life, the list of monthly expenses seems endless. Although it can be tempting to cut your retirement savings plan contributions to make ends meet, do your best to resist temptation and stay diligent. Your retirement needs to be a high priority. Are you thinking about taking time off to raise children? That is an important and often beneficial decision for many families. But it's a decision that can have a financial impact lasting long into the future. Leaving the workforce for prolonged periods not only hinders your ability to set aside money for retirement but also may affect the size of any pension or Social Security benefits you receive down the road. If you think you might take a break from work to raise a family, consider temporarily increasing your plan contributions before you leave and after you return to help make up for the lost time and savings. Or perhaps your spouse could increase his or her contributions while you take time off. Lastly, while you're still approximately 20 to 30 years away from retirement, you have decades to ride out market swings. That means you may still be able to invest relatively aggressively in your plan. But be sure you fully reassess your ability to withstand investment risk before making any decisions. The latter stage of your career can bring a wide variety of challenges and opportunities. Older children typically come with bigger expenses. College bills may be making their way to your mailbox or inbox. You may find yourself having to take time off unexpectedly to care for aging parents, a spouse, or even yourself. As your body begins to exhibit the effects of a life well lived, health-care expenses begin to eat up a larger portion of your budget. And those pesky home and car repairs never seem to go away. On the other hand, with 20+ years of work experience behind you, you could be reaping the benefits of the highest salary you've ever earned. With just a few short years until you celebrate the major step into retirement, it's time to begin thinking about when and how you will begin drawing down your retirement plan assets. 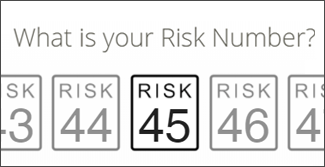 You might also want to adjust your investment allocations with an eye towards asset protection (although it's still important to pursue a bit of growth to keep up with the rising cost of living).4 A financial professional can become a very important ally in helping to address the various decisions you will face at this important juncture. Throughout your career, you may face other important decisions involving your retirement savings plan. For example, if your plan provides for Roth contributions, you'll want to review the differences between these and traditional pretax contributions to determine the best strategy for your situation. While pretax contributions offer an upfront tax benefit, you'll have to pay taxes on distributions when you receive them. On the other hand, Roth contributions do not provide an upfront tax benefit, but qualified withdrawals will be tax free.6 Whether you choose to contribute to a pretax account, a Roth account, or both will depend on a number of factors. At times, you might face a financial difficulty that will tempt you to take a loan or hardship withdrawal from your account, if these options are available in your plan. If you find yourself in this situation, consider a loan or hardship withdrawal as a last resort. These moves not only will slow your retirement saving progress but could have a negative impact on your income tax obligation. Finally, as you make decisions about your plan on the road to retirement, be sure to review it alongside your other savings and investment strategies. While it's generally not advisable to make frequent changes in your retirement plan investment mix, you will want to review your plan's portfolio at least once each year and as major events (e.g., marriage, divorce, birth of a child, job change) occur throughout your life. 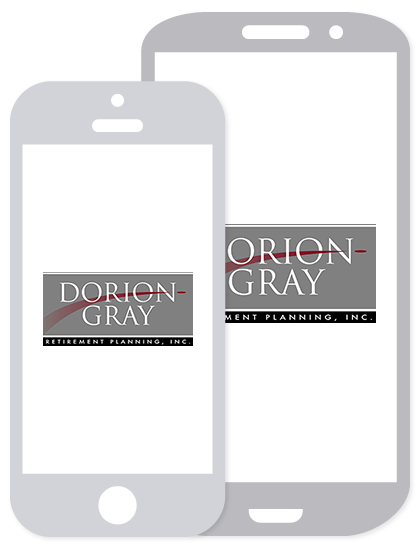 Dorion-Gray Retirement Planning, Inc. is located at 2602 IL Route 176, Crystal Lake IL 60014-2225. Securities offered through Securities America, Inc. a registered Broker/Dealer, Member FINRA/SIPC. Advisory services offered through Securities America Advisors, Inc. Dorion-Gray is not affiliated with Securities America companies. All content provided by Forefield is protected by copyright. Forefield claims no liability for any modifications to its content and/or information provided by other sources. Neither Forefield Inc. nor Forefield Advisor ™ provides legal, taxation or investment advice.